for $569,500 with 5 bedrooms and 3 full baths, 1 three quarter bath. This 3,380 square foot home was built in 2010 on a lot size of 0.27 Acre(s). Prepare to fall in Love! Nearly 3, 300 FINISHED sq' ft including pro finished basement! And Bonus SAVINGS in electricity with OWNING your 40 Panel ~ 12.2 kWh Solar System! Offering 5 Bedrooms & a main floor Study w/French Doors! The MAIN FLOOR offers a large study, stunning kitchen with huge island that opens to the Dining Space and perfect Family Room with gas fireplace! Terrific guest bedroom & Full Bath! All of this flooded with natural sunlight! The 2nd Floor has 3 bedrooms including the beautiful master suite with gorgeous 5 piece bath & a Full Bath to serve the other bdrms. Enjoy the FINISHED BASEMENT with family room, 5th bdrm plus a ¾ bath with custom tile accents! All of this perfectly located on nearly ¼ acre! Fresh Interior and Exterior Paint. Entertain on your gorgeous Deck overlooking your manicured lawn and the neighborhood. 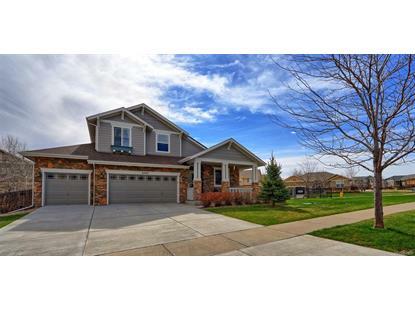 All of this in the sought after Cherry Creek 5 Schools! Just a short walk to Aurora Reservoir, Enjoy Trails, Wildlife and Colorado at its best!